Nothing quite welcomes in the fall weather like the scent of cinnamon, ginger and nutmeg in a fresh pumpkin pie. For those with gluten sensitivities, this seasonal favorite no longer has to be avoided due to the crust thanks to ever improving gluten-free products. 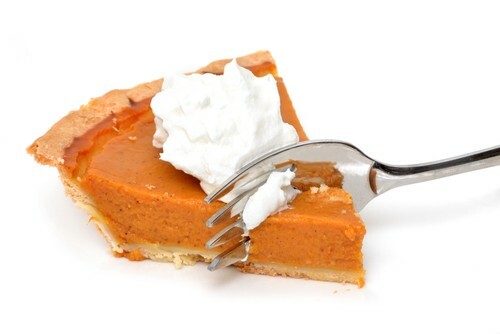 Prepare this scrumptious pumpkin pie recipe for Thanksgiving dinner and no one will be missing the gluten! In a food processor or in the bowl of a stand mixer with the paddle attachment, place the Sydney Blend, salt and sugar, and mix until combined. Add the chilled butter and blend until the mixture resembles coarse breadcrumbs. Add about 2 tablespoons cold water and process just until the dough holds together. If necessary, add another tablespoon of water. Turn the dough onto a work surface dusted with Sydney Blend and gather into a ball. Flatten into a disk, cover with plastic wrap and refrigerate for 30 minutes. This will chill the dough and make it easier to roll out. Next, place the disk on a lightly floured surface, and roll from the center of the pastry outwards into a 12-inch circle. Continue to dust the surface of your counter and the top of the dough with Sydney Blend to prevent the pastry from sticking to the counter as you roll. Gather the dough around your rolling pin and gently transfer to a 9-inch pie pan. If the dough breaks apart, just use your fingers to stick it back together as necessary. Tuck the overhanging pastry under itself and use a fork to make a decorative border, or trim the pastry to the edge of the pan. Set aside. To make the filling, lightly whisk the eggs in a large bowl. Add the remaining ingredients and whisk well to combine. Pour the mixture into the prepared pie shell and place on a large baking pan to catch any spills in the oven. Bake the pie 45-55 minutes, or until the filling is set and the crust has browned. The center will still look wet, but a knife inserted about 1 inch from the side of the pan will come out almost clean. Place the baked pie on a wire rack to cool. Serve cold or at room temperature with whipped cream. Recipe courtesy of Blends by Orly.